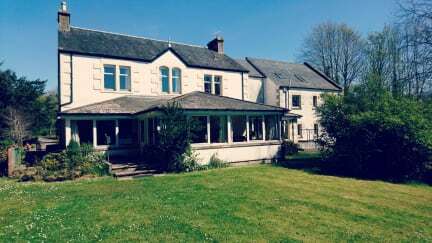 Set in wooded grounds, just minutes walk from the bustling village of Fort Augustus and the banks of Loch Ness, Morag's Lodge offers quality budget accommodation for independent travellers and backpackers. We have has everything you need for a great stay in the heart of the Highlands. For outdoor enthusiasts we have a great drying room and secure cycle storage. Our friendly and active staff can offer advice on local walks and cycle routes. * Relax by the Loch and try some Nessie spotting! * Take a walk or cycle through the network of paths around the village. Please note that the rooms are unavailable until 2pm. Bags can be left in reception & early arrivals are welcome to use the lounge, kitchen & garden.